Remember to buy me a coffee if you like my work or comics! Co-owner of TheBackyardGeeks - a Winnipeg Blog of all things Nerdy. "Desires, Despair, and Hunger are lovely things to feast upon, isn't it?" 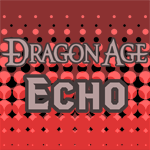 Dragon Age: ECHO is a fan-made comic based off of Bioware's Dragon Age Series. 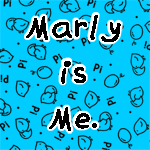 A diary comic of an artist named Jesslyn "Marly" Buote as they figure themselves out in their artistic and personal journey.